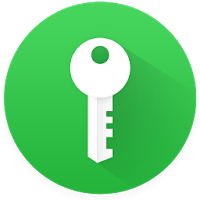 TL;DR: Get a sample Android app with Smart Lock configured and ready to use from this Github repository. Members of our team participated in the last Google I/O to learn about the latest trends. There were a lot of cool new things announced, but these two particularly caught our eyes: Android Fingerprint Support & Smart Lock for Passwords. In this blog post, we’ll focus on the latter. Smart Lock for Passwords is a service that makes handling your user’s credentials a pain-free process. It also allow friction-free log-in and sign-up for your web & Android apps. In other words, the idea is that you never have to remember your passwords again :). Have you heard about 1Password or LastPass? Well, imagine that, but from Google. If you’re writing a WebApp, password management can be handled by Chrome itself. However, for Android apps. you need to do some extra work to add it. 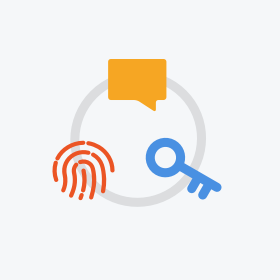 After playing around with the samples, we decided that it would be great to integrate it with our Lock for Android to make it even easier to authenticate your users and keep their credentials safe. With that in mind, we created a new library Lock-SmartLock. In this blog post, we’ll learn how to use it! Then, follow this guide to configure your Google Developers Console project and associate it with your Android application so it can use SmartLock API. First, add Lock-SmartLock to your build.gradle file. Then, we need to create a custom class that extends from android.app.Application and implements LockProvider. In this class, we’ll create an instance of SmartLock and store it so that we can use it from any Activity. Remember to register this class as your application class in the AndroidManfifest.xml, too. The layout of the Activity is up to you; we only need a way to trigger the authentication (either a button or automatically from code). That’s it all, you have successfully integrated Auth0 and SmartLock!